Use silk-screened, fabric maple leaves in harvest arrangements, decorative baskets, displays and crafts. 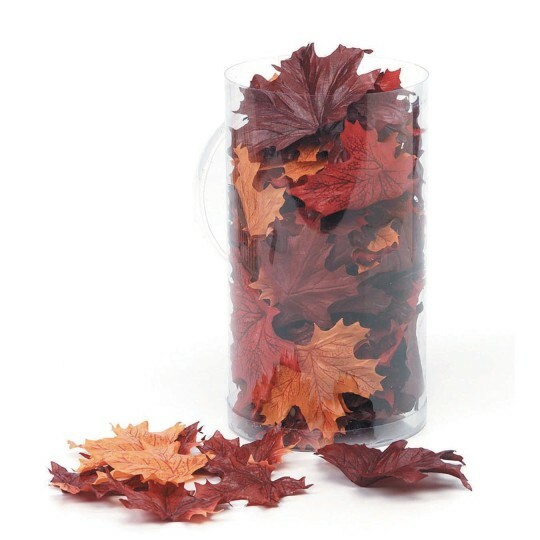 Assortment includes 100 leaves of various sizes in autumn shades of red, burgundy and orange. Approximate sizes are 2” x 3”, 2-1/2” x 3”, 3” x 4”. We are using this for fall decorations.